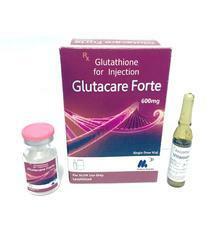 Packing specification: 1 combi pack- Glutathione 600mg+ Sterile WFI I.P-5ml in a monocarton. Glutax 5gs 5000 Micro Advance Cellular Ultra Skin Whitening and Anti Aging. 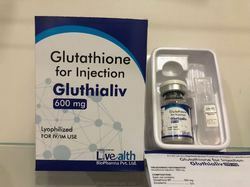 Glutathione belongs to a class of medications called antioxidants. It works by protecting the liver from harmful chemical substances (free radicals), thus preventing liver damage.